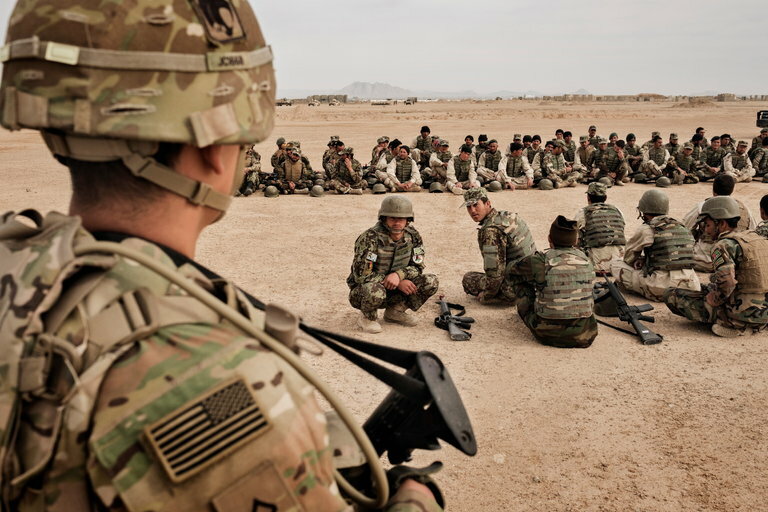 United States Army soldiers from the Second Battalion, 87th Infantry oversaw training of the 215th Corps of the Afghan National Army at Camp Bastion in Helmand Province last year. WASHINGTON — The United States has about 11,000 troops in Afghanistan, the Pentagon said Wednesday, acknowledging for the first time publicly that the total forces there are higher than formally disclosed in recent years. Previously, Defense Departments officials have said that 8,400 troops were in Afghanistan as part of NATO’s Resolute Support mission. Another 2,000 American forces that military officials have not publicly acknowledged are in Afghanistan to help local troops conduct counterterrorism missions. The new count includes covert as well as temporary units, defense officials said. Lt. Gen. Kenneth McKenzie, the director of the staff of the chairman of the Joint Chiefs, told reporters that military officials conducted a review in advance of a decision to send thousands more American troops to Afghanistan under President Trump’s new strategy for conducting the war effort there. Defense officials say they still expect to increase the troop numbers in Afghanistan by close to another 4,000 troops. President Barack Obama ostensibly ended American combat missions in both Iraq and Afghanistan during his time in office, but American warplanes continued to target the Islamic State and the Taliban, and American special operations forces advised local fighters on the ground.